Spyker Cars said today it is negotiating to sell its sports car business to a company controlled by Russian billionaire Vladimir Antonov. Spyker, which bought Saab from General Motors Co. a year ago, said it has signed a memorandum of understanding to sell Spyker's assets to UK holding company CPP Global Holdings, which is owned by Antonov. The sale could raise 32 million euros ($44 million) and with other planned debt repayments will cut Spyker's borrowings to 25 million euros, from 92 million euros now, Spyker CEO and Saab Chairman Victor Muller said. That excludes debt owed by Saab itself. Under the deal, Antonov's CPP Global Holdings would purchase virtually all assets related to Spyker's business, including the Spyker trademarks and other intellectual property rights. "Spyker's (luxury car business) is a small fish in a large pond. Spyker would need additional funds, but to issue shares and dilute shareholders seemed like a very bad plan so we decided to divest these activities," Muller told reporters in a conference call. Muller, a classic car collector who made his fortune in the fashion industry, has often called Spyker's luxury sportscar business "my baby." The handmade sportscar has appeared in Hollywood films including The Pink Panther and Basic Instinct 2 -- with Sharon Stone at the wheel. But on Thursday, he said the decision to sell would allow the luxury car operations to "spread its wings without being restricted by the capital structure" of the listed parent. The listed parent will be renamed in May, Muller said, and would probably include Saab in its new name, with a listing in Stockholm still on the cards. Muller and Antonov have had close and complex financial dealings in the past -- it was the Russian businessman who helped fund Spyker's acquisition of Saab, among other deals, Muller said. Muller said he did not have any shares in Antonov's company CPP. Analysts say Spyker needs a strategic investor longer term if it is to achieve its stated goal of turning Saab into an independent and profitable niche player. Spyker sold 36 cars in 2009, the last available data, and has been losing money since it sold shares for the first time in 2004. Antonov held 29.9 percent of Spyker before GM demanded that he get rid of his stake before agreeing to sell Saab to Spyker. Tenaci Capital BV, a company controlled by Muller, eventually bought Antonov's stake. Spyker owed about 74 million euros to Tenaci as of Sept. 30, part of which were funds that helped finance the acquisition of Saab in February 2010. To further reduce debt and interest, Spyker within six months plans to convert 17 million euros of its debt owed to Tenaci into shares, it said. "It's a logical step to do this, so the company can focus solely on the Saab business," Martin Crum, an analyst at Amsterdams Effectenkantoor BV, said. "Financially it's positive as well because the debt will be reduced. It will reinforce the balance sheet and reduce the interest the company must pay." In January Spyker said it was confident that Saab sales would accelerate this year. Spyker had defied skeptics last year when it rescued Saab from imminent closure and has remained bullish on its prospects, forecasting sales to rise this year to 80,000 vehicles and 120,000 in 2012. The company said last month that Saab sold 31,696 cars in 2010 after cutting its full-year target in October to 30,000 to 35,000 vehicles, from 45,000 previously, because it had to rebuild its supplier base. CPP Global Holdings will buy the Spyker sports car assets for an initial 15 million euros maximum of 17 million euros payable in instalments over the period 2011-2016 from Spyker's earnings. 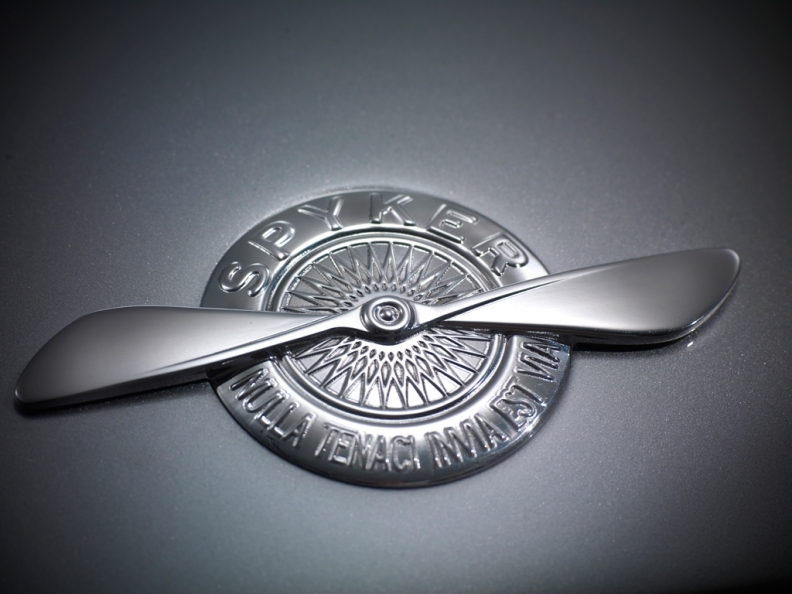 Muller will remain Spyker CEO until a successor is appointed, the company said. Muller will remain chairman of Saab.